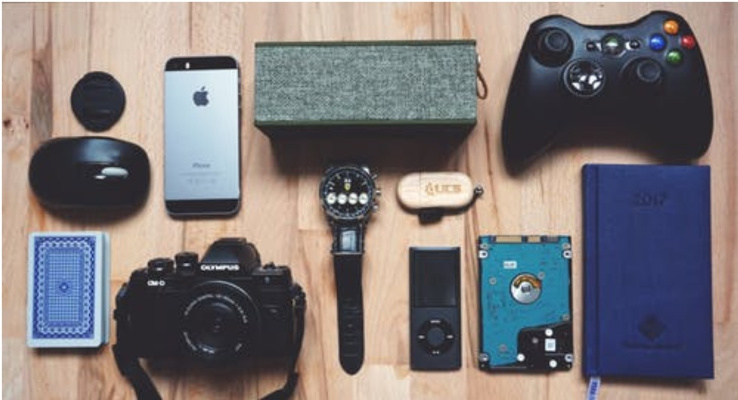 In this world of rapidly changing technologies, it has become imperative to keep abreast of all that has been going on in the gadget space. It really boggles the mind when you think of the latest innovations flooding the market every single day. One day, you are looking at a big screen plasma television, and the next day you realize there is a Firestick that lets you connect your television to the internet in a simple and secure manner or even the world’s most powerful pocket-sized projector. Learning about new technologies is more than fun in the current decade, it is necessary. Let us look at some of the benefits and ways of staying connected with technologies that are “just-in”. Why should you keep yourself in tune with technology? The present era is all about consumers. Device manufacturers can no longer get away with producing low quality or featureless products, thanks to the rising levels of awareness among consumers. When you are informed and up-to-date about the latest trends in technology, you have the decisive power to purchase the very best. Besides, in this competitive age, no one likes to fall behind on using all the coolest, fastest, and high gain devices. If you do not follow the technology updates, chances are by the time you come to know about the trendiest version of a smartphone, five other versions would have replaced it. Yes, that is how fast things change in technology, and if you are not with it, you lose productivity. The internet abounds with exciting and valuable information about the world of technology and gadgets. However, you should keep in mind that there is also a lot of unwanted and incorrect information. Hence, while almost every technology site provides you with an option to subscribe and/or follow them on social media, it is crucial to choose your subscriptions wisely. Collecting valid and valuable information from technology articles should be the motive behind the subscription. While newsletter subscriptions are an easy choice, some other ways in which you can keep up with the current happenings in the technology world include experiencing new gadgets yourself, attending user conferences, finding a tech expert to have intelligent conversations with, following innovators in social media, and participating in forums. Each option has its own benefit, and a combination of at least a few of these techniques could be key to providing you with a holistic picture on new developments. Technologies change subtly, swiftly and may turn towards unexpected directions as well. While on one hand, we see smartphones getting slimmer with every new version, according to a recent article on the internet, a battery manufacturer has released a phone that is unbelievably thick, owing to its high-end battery that stores charge five times more than a standard iPhone. In a different twist, a speaker manufacturer innovated sunglasses backed by augmented reality. Incredible technology trends are being seen in every sector, including children’s products. As per the TechImperatives.com article on the Kidizoom Smartwatch, a Chinese company recently innovated smartwatches exclusively for younger children. The article proceeds to explain how the mobile sector has expanded beyond the needs of adults, and how technology giants are coming up with new ideas to enter into the children’s market. New innovations are everywhere, and companies are working towards getting their products across to you in a more efficient manner. As a consumer, keeping yourself updated with the latest technology trends is not that challenging, considering the several channels present at your disposal.